Note that this is a CAMO Spider ONLY. 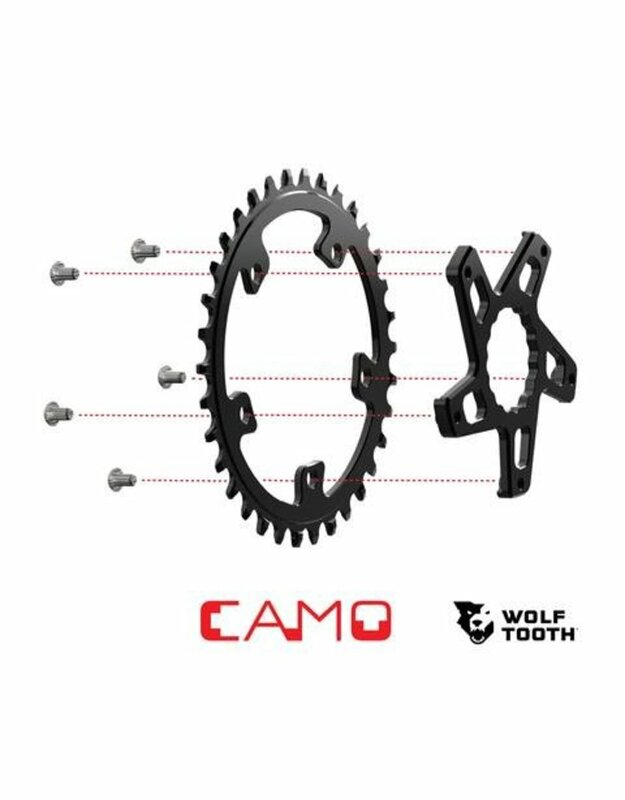 A CAMO Chainring is required to complete this system if you don't already have one. 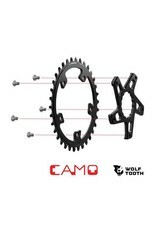 Availability - Wolf Tooth is the one-stop-shop for your direct mount needs...round or oval, stainless or aluminum, and no matter the crankset. Bling - spider colors and bolt colors add a little flash to your sweet ride! 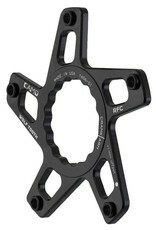 M8 (minus 8mm - dished towards the frame) is for standard 49mm chainline. 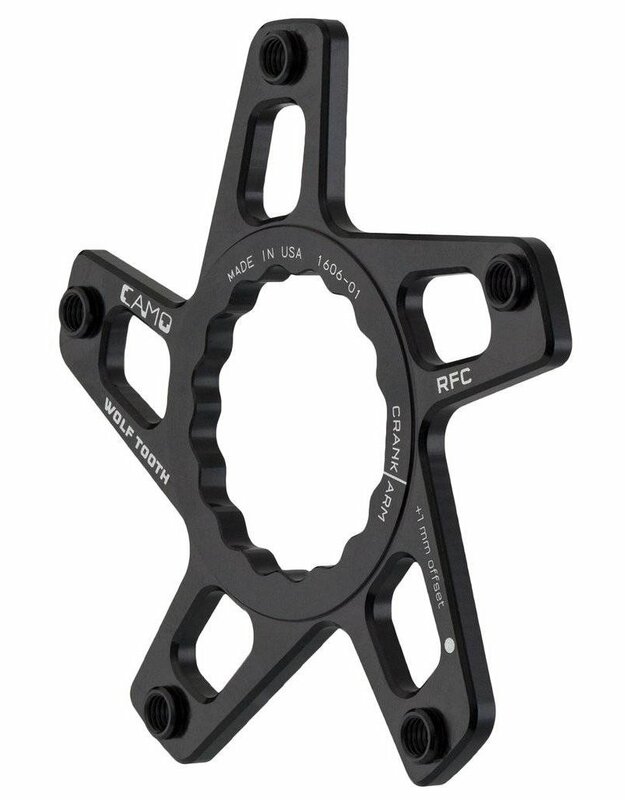 This is for use on bikes with 135mm QR, 142mm thru axle, and some 148mm bikes. 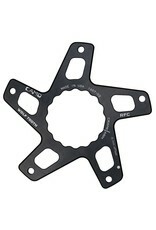 M5 (Boost - minus 5mm - dished towards the frame) is for 52mm chainline that boost bikes may need. This link explaining 148mm "Boost" spacing will help you decide if you need the M5 or M8. 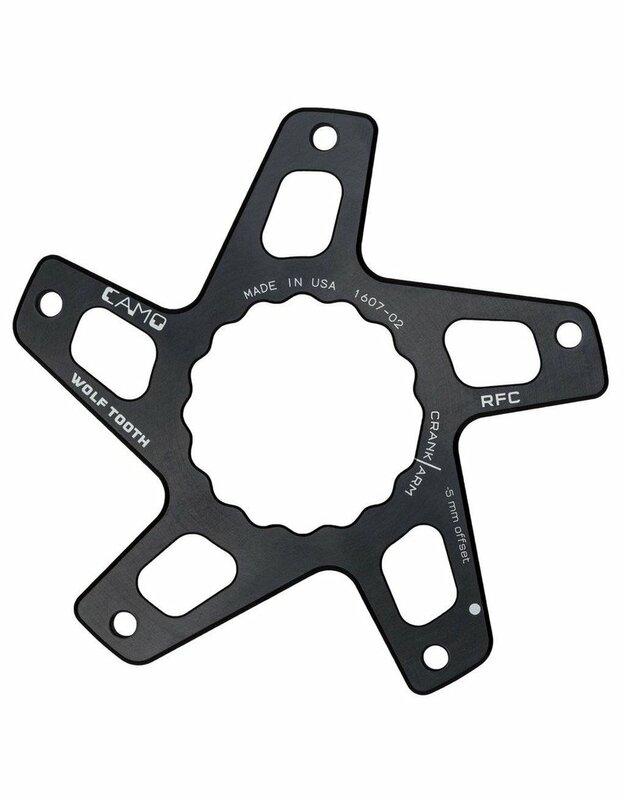 The CAMO mounting bolts for these can be purchased separately, but all the CAMO spiders come with stainless steel bolts if you don't order them. Chainline - varies by which spider you choose. See compatibility above. You will be able to access all bolts without removing the spider. Line up the small white dot on the ring with the dot on the spider. Don't worry, you cannot install the ring in the wrong rotational orientation.